This past summer I celebrated my 65th birthday. When it comes to age there are certain numbers in our culture that carry extra significance;18,21, 40 and 65 are such numbers. On that particular day, I was in Oark, Arkansas where my wife and I had rented an AirBnB cottage for the week in the Ozark Mountains of the northern part of the state. I got up early that morning , as I often do, read and wrote in my journal. I felt a little sad. I would like to say that age is just a number, but on that day it caused me to think of my parents. At age 65 my mother was diagnosed with Alzheimer’s Disease, although she had shown signs of it several years before. My dad had retired early, primarily to take care of my mom. My mother lived another 13 years, dying in 2005 a mere shadow of her former self. My father carried on another 24 years, living an active life up until the last couple of years when he began to show signs of early onset Alzheimer’s as well. My sadness in part came from remembering my parents, but also in wondering how many “good years” I still had given my family history. My somber mood soon dissipated and we spent the day hiking the Lost Valley Trail, a short two mile trail that led up to a waterfall and a cave. However, the hot weather had more or less dried up the waterfall, and the entrance to the cave was too small for me to contort my body through the opening. 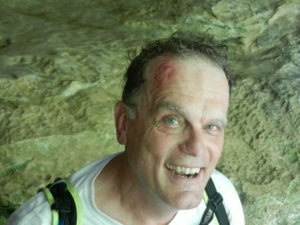 In my efforts to enter the cave I bumped my head, leaving a pretty mean looking bruise on my forehead. Later we found a mountain stream, where we dipped our warm feet, and then drove through the mountains back to our cabin. We had a simple meal and my “birthday cake” was miniature peach pie bought at the grocery store the day before. It was a quiet though fun, eventful day. Ten days later when we returned from our road trip to Arkansas, I received a registered letter indicating that I was being laid off from my job at the university. While the reasons for my dismissal were not age-related (others older and younger than me were also laid off), nonetheless, the letter signaled that indeed by 65th birthday was both an ending and a beginning of something yet to be determined. It also reinforced the sense of tenuousness and unpredictability of life in general and mine in particular. A job I had held in various capacities for 21 years was now ending, and I had to figure out what came next.. When that song first came out in 1967, I was only 14 years old. At that time age 64 or 65 seemed ancient, and it made sense to me that by the time I reached the age I am now, I would be pretty washed up. Now that I am that age, I don’t feel 65 (as if 65 is supposed to feel a certain way). Nonetheless, when I go to the movie theater, I never have to ask for the Senior discount; they automatically give it to me, and just the other day I received my SEPTA Senior Fare Card, allowing to ride the public transportation for free or at a discount rate. So whether or not I feel 65, others see it clearly. And at times I wonder: am I still needed at this age.? Robert Lake and Tricia Kress, in their book, Paulo Freire’s Intellectual Roots (3), say that central to Freire’s idea of praxis is the belief that life is an ongoing process of learning and change, of curiosity and seeking, of dreaming and moving toward hope. I have tried to emulate this ongoing desire to grow, to learn, to dream and to stretch myself, not only in my teaching and my activism, but in my coming to know myself and the God who walks with me.. In 1987 when Paulo Freire was 65, he met with his American popular education counterpart, Myles Horton. Horton was battling cancer and would not live to see the publication of the “talking book” that emerged from the conversation (4). Paulo had mourned the death of his first wife Elza, had recently married his second wife Nita, and would live another 10 years. 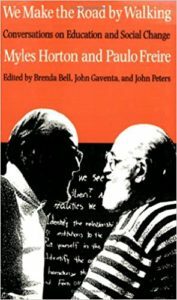 At one point in the conversation Freire talked about the fact that both of them were “uncompleted beings” and that to the end of their lives they needed to be engaged in “a permanent process of searching.” To not keep growing, learning, dreaming and searching, no matter what a person’s age, was to die prematurely. These thoughts from Freire have encouraged me to keep learning and growing regardless of what my age symbolizes to the wider world. I am an unfinished person, one who still has much to learn, one who dreams of a more just and equitable world and seeks to part of bringing such a world into being. A few years ago, I thought I was dying and came to terms with the eventuality of death as much as anyone can. So I try to be realistic about what the years ahead may hold. But in the meantime, I intend to continue to be a person “under construction” in the ongoing quest to “finish the race” in the words of the Apostle Paul (5). These insights, while sobering, are also inspiring as I seek to learn, know and be the person I have yet to become in my unfinishedness. 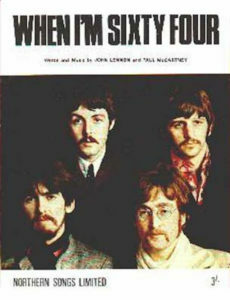 Paul McCartney, “When Iim Sixty-four,” Released 1967. James Kirylo, “Paulo Freire: An Unfinished Completed Life, Oneing, Vol 1 (1), pp.67-72. Robert Lake & Tricia Kress, Paulo Freire’s Intellectual Roots: Toward Historicity of Praxis. London: Bloomsbury Press. Myles Horton & Paulo Freire, We Make the Road by Walking: Conversations on Education and Social Change. Philadelphia: Temple University Press, 1990. Thanks Drick, I appreciate your wise and timely insights. I don’t feel 65 at all either. Sorry about you losing your university position. Thanks for sharing drick. It will be fascinating to watch how and where your next steps will take you. I hope they include sporting events and bike rides with other old geezers like me. 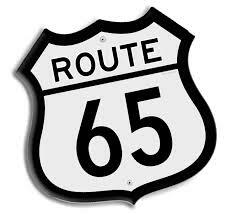 How did we get to be 65 – wasn’t it just yesterday we were in college? Growing then; growing now; growing until our last breath – that’s the beauty, joy and challenge of a life well lived. I’m sorry about the job. It’s hard to say good-bye to something that was such a big part of your life. I hope that the change may open other avenues overlooked or undiscovered for you, and bring you more fulfillment. And give you time to reconnect, like coming to our next Duke reunion – we’ve missed you.